In addition to having the benefits of fixed wheel attachments, swivel wheel mounts allow the 3" wheels to turn in a complete circle. 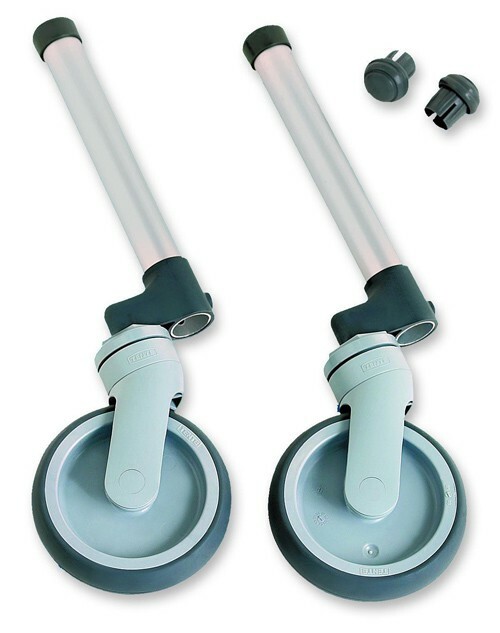 This makes the walker easier to maneuver in confined areas such as elevators, apartments and retail stores. 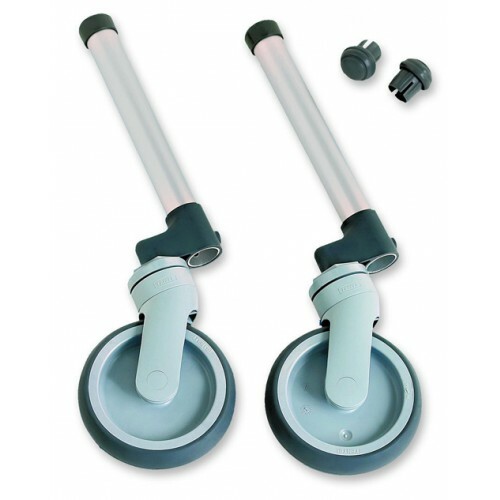 Swivel Wheel Attachments add 4.25" to the height of a walker. They are too unstable and swivel too quickly to one side or the other depending on how much weight you put on one side of the walker. When I tried to return them I was told I cannot, even though they were only used indoor for a day. I am completely dissatisfied and will not buy another thing from this company.